Is it threaded in the back end or is it pinned/screwed on? can you not just remove the sight by tapping out the pins? If not a 2" barrel extension should do the trick if it is threaded. Just what I was going to suggest! Just thought - aren't the combat machine sights moulded on? 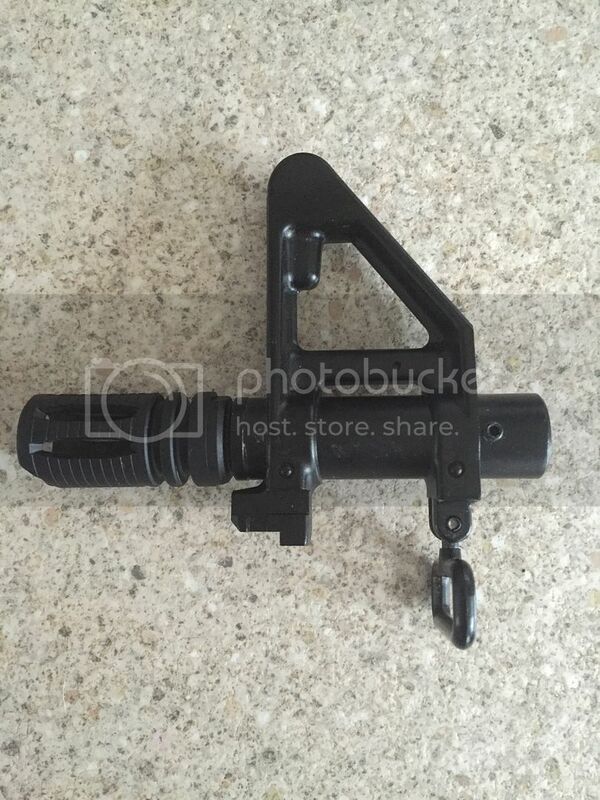 Yes, to change the front sight post you've got to replace the entire outer barrel. Just search for an AEG barrel extension the length you need. Nope, the inside isn't threaded, it slides on to a thinner 'middle outer barrel'. TM used to do them the same way back when, saves money on metal I guess. In summary then - buy the part from Land warrior as linked by Berto and remove the top part of the sight or change the whole outer barrel to a solid one the right length. Or just grind it off with a dremel and repaint the end of the barrel.